Posted on: July 1, 2015 By: Christopher Brown, Esq. There is an open container of an alcoholic beverage in the passenger’s seat of your car. Some of the alcohol is missing. You display the characteristics of an impaired driver. The statute defines an open container being anything containing alcohol in anything other than the originally sealed manufacturer’s container. The container is considered open if it is closed by any means other than a factory steal. The state’s statute definition of the passenger’s area is somewhat lax. Essentially it identifies any place in your car that you are able to reach from the driver’s seat, including the glove compartment. This excludes the trunk or any space behind the last row of seats in a van or sports utility vehicle, the living area of an RV or the passenger’s area of a limousine or taxi while passenger’s are being transported. Consuming alcohol or driving with an open container of an alcoholic beverage is a Class 4 misdemeanor in the state of Virginia. This is the least offensive category of misdemeanor with the standard punishment not exceeding a maximum fee of $250. The statutory punishment does not include jail time. Although it may sound minor, a Class 4 misdemeanor is still a criminal offense and simply by pleading guilty and paying the fine results in you having a permanent criminal record that can go on to affect your ability to be hired for a job, be approved for a loan, rent or buy a home and receive security clearance later on. 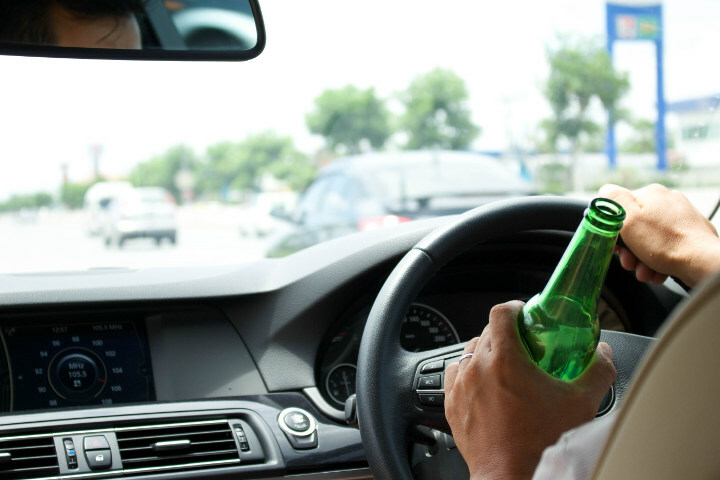 An open container in your car allows for the rebuttable presumption that you were drinking while driving. This means that the court will assume you were consuming the alcohol unless you provide evidence that would convince a reasonable person to logically deduce that you were not drinking. This can be established through a witness testimony that you were not drinking from the container found in your car. An experienced traffic defense lawyer can assist you in evaluating the evidence and possible defenses for your case. While strategic defenses in these situations are possible, presenting a sound legal argument to the court requires the knowledge and expertise of a professional lawyer. The attorneys at The Brown Firm PLLC have extensive experience in defending Virginia’s drivers in court. Our traffic defense attorneys will help you asses every detail of your case in order to create a strong legal defense. Our goal is to work with you and help you achieve the best outcome possible. Call our office or send us a message online to schedule a free consultation to discuss your case.